Broward County's Port Everglades has negotiated a Memorandum of Understanding (MOU) that provides the framework for a new long-term business agreement with Royal Caribbean Cruises, Ltd. (RCL) that will include complete, customized renovations of the Port's Cruise Terminal 25 targeted for completion by October 31, 2018. "Our cruise line customers are becoming more sophisticated in the way they think about the guest experience, as we saw when Royal Caribbean partnered in the construction of Cruise Terminal 18 for their Oasis class of ships," said Port Everglades Chief Executive Steven Cernak. Richard Fain, the chief executive officer of Royal Caribbean Cruises Ltd.and Lisa Lutoff-Perlo, CEO of Celebrity Cruises—one of three brands in the Royal Caribbean family—announced a new category of ship that, among other transformational design moves, brings stateroom balconies indoors. Designed completely in 3-D, and featuring the work of A-list global architects and designers, the 2,918-guest Celebrity Edge aims to make discerning global travelers redefine how they experience the world and how intimate a vacation can be. North American Marine Environment Protection Association (NAMEPA) will hold its Environmental Intelligence in Shipping Conference on “Pathways to Sustainability” on Februar 5, 2016 at SeaRiver Maritime in Spring, Texas. The conference is designed to be a guide for navigating through the myriad of regulations leading to compliance. The maritime industry faces continual regulatory change as it strives to reduce its impact on the marine environment. NAMEPA members, in particular, are committed to “Save our Seas”, but this approach is not without its hurdles. The hulking shell of Royal Caribbean’s “Harmony of the Seas” — the world’s largest cruise ship — entered the water in France on Friday. It’s expected to take its maiden voyage in 2016. The huge vessel has been under construction since September 2013 in the shipyards in Saint-Nazaire. The 16-deck ship will carry 6,360 passengers along with 2,100 staff. It weighs 227,000 tons and measures 1,187 feet — that’s 50 meters longer than the height of the Eiffel Tower. Harmony is also a metre wider than the current twin ocean-going monsters of the pleasure cruise world, which are also 362 metres long. Quintiq, a Dassault Systèmes company, announced that Royal Caribbean Cruises Ltd. has selected its software solution to optimize the assignment of more than 80,000 crew members across its various brands and ships globally. As a global company, Royal Caribbean required a solution that could handle increasingly complex workforce planning conditions unique to the cruise business, and its manual approach to crew planning and scheduling was time-consuming and left no room for optimization. Quintiq is able to incorporate all the rules, regulations and requirements of its planning environment. Royal Caribbean Cruises Ltd. has entered into an agreement to sell Legend of the Seas to Thomson Cruises in the UK. Legend will depart Royal Caribbean’s 25-ship fleet in March 2017 and immediately transition to its new owner. The 1,832-passenger ship will join the Thomson fleet in May 2017, and will sail under the name of TUI Discovery 2. The news comes nine days before the launch of the line's latest ship TUI Discovery - another former Royal Caribbean ship and a sister to Legend, Splendour of the Seas. 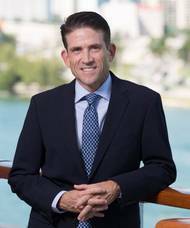 Continuing Celebrity Cruises’ dedication to advancing the role of women in leadership, Captain Kate McCue’s elevation to command of the Celebrity Summit– a 91,000-ton, 965-foot ship follows that of Lisa Lutoff-Perlo, who was named President and CEO of Celebrity Cruises in December 2014. But, talent is talent – regardless of gender. 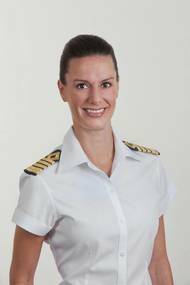 For her part, McCue has managed ship logistics while sailing worldwide itineraries and played a notable role in the revitalization of ships in Singapore. 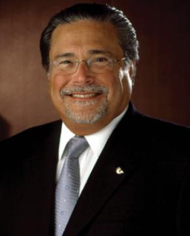 The Florida-Caribbean Cruise Association (FCCA) announced the appointment of the new FCCA Operations Committee Chairman, Carlos Torres de Navarra, vice president of strategic and commercial port development, Carnival Cruise Line, effective January 1, 2017. Torres de Navarra oversees the strategic planning and execution with respect to port development and port-related commercial agreements. 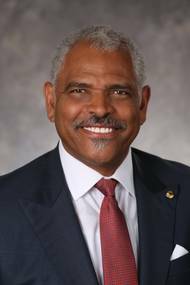 He also works with Carnival Corporation brands and destination stakeholders to optimize port strategies, and agreements as well as planning long-term strategies across regions.